Mumbai: The Vice President of India, Shri M. Venkaiah Naidu exhorted medical professionals and researchers to make efforts come up with path breaking advances, so as to help in the prevention of cancer and its treatment. 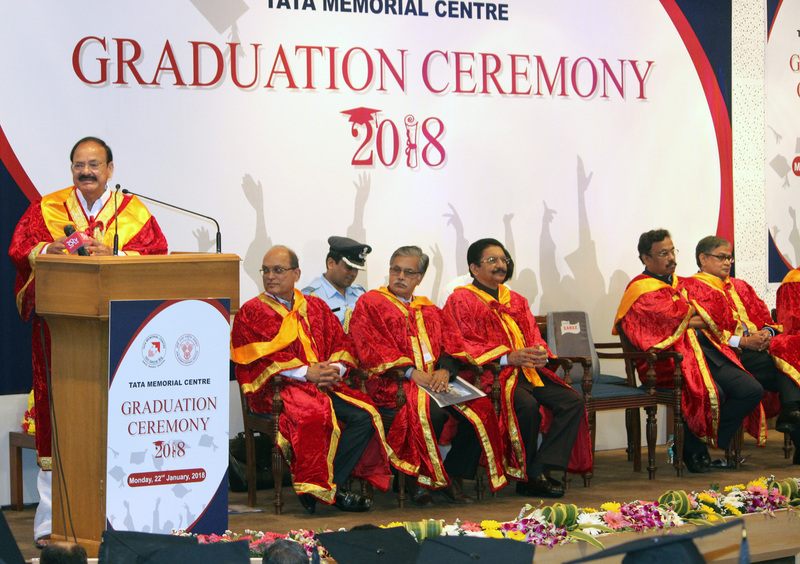 The Vice President was addressing the Graduation Ceremony at the Tata Memorial Centre, in Mumbai today.Shri Naidu also said that researchers must explore ancient Indian medical systems like Ayurveda for alternative solutions. We should see if there are some indigenous cost-effective solutions that may be useful to make cancer treatment more affordable, he added. The Vice President also appealed for the promotion of cancer awareness and education amongst the people, so that they become aware about various available treatment options. 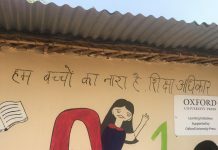 He noted that Cancer is a major public health concern in India and has become one of the 10 leading causes of deaths, and its treatment is also very costly. Shri Naidu felt that screening of people will help in early detection of this disease. He also wanted the people to go back to their roots, especially the way we live and the way we think. He said awareness must be created, particularly, among youngsters, on the need to lead healthy lifestyles and avoid consumption of junk food. The Vice President also touched on the need to increase palliative care centres in the country. The Vice President asked doctors and medical students to create awareness on the need to observe personal hygiene and maintain sanitation. Lack of personal hygiene causes infections like HPV, which in turn has the potential to cause cancer of the cervix, he added. Shri Naidu also said that Yoga training should be imparted to students as part of ensuring healthy lifestyles. Yoga is a holistic approach to healthy living and there is evidence that it enhances the well being and quality of life, he added. The Governor of Maharashtra, Shri Ch. VidyasagarRao and other dignitaries were also present on the occasion.